Scooper - Technology News: The Fed's dilemma – global or domestic stability? The Fed's dilemma – global or domestic stability? “In this world, there are only two tragedies,” Oscar Wilde once wrote . “One is not getting what one wants, and the other is getting it.” As the US Federal Reserve inches closer to achieving its targets for the domestic economy, it faces growing pressure to normalize monetary policy. But the domestic economy is no longer the Fed’s sole consideration in policymaking. On the contrary, America’s monetary authority has all but explicitly recognized a new mandate: promoting global financial stability. The US Congress created the Fed in 1913 as an independent agency removed from partisan politics, tasked with ensuring domestic price stability and maximizing domestic employment. Its role has expanded over time, and the Fed, along with many of its developed-country counterparts, has engaged in increasingly unconventional monetary policy – quantitative easing, credit easing, forward guidance, and so on – since the 2008 global financial crisis. Now, the unconventional has become conventional . 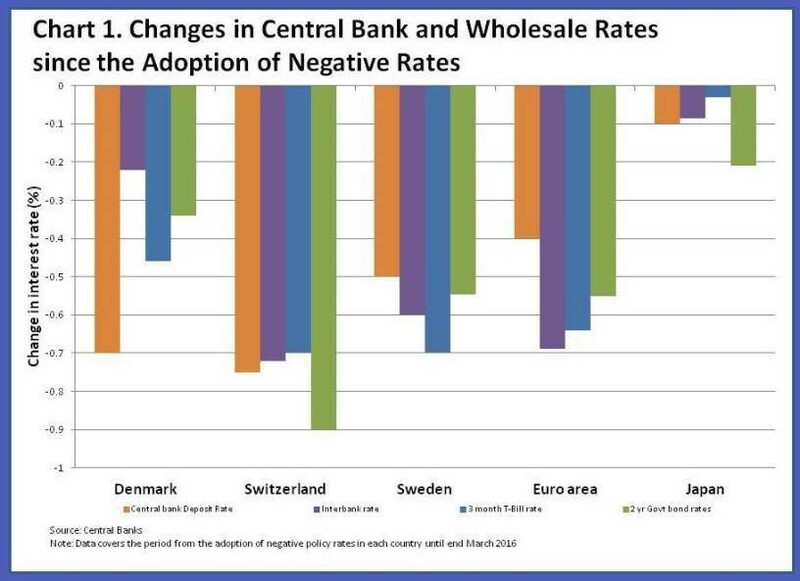 A generation of global market participants knows only a world of low (or even negative) interest rates and artificially inflated asset prices. But the Fed’s dual mandate remains in force. And while the Fed’s recent rhetoric has been dovish, the fundamentals of the US economy – particularly those that supposedly matter most for the Fed – indicate a clear case for further rate hikes. Consider, first, the Fed’s employment mandate. The unemployment rate is down to just 5%, job growth is strong and consistent, and jobless claims have been on a clear downward trajectory for several years. As for the price-stability mandate, the oil-price collapse has naturally affected headline figures over the past year, but the trend in core inflation (excluding the energy component) suggests that the Fed is falling behind the curve. Core CPI is at a post-crisis high, having risen 2.3% year on year in February, and 2.2% in March. Moreover, inflationary pressures will likely mount as the year progresses. With the household debt-to-asset ratio now approaching levels last seen in the 1990s, consumers have plenty of capacity to ramp up their borrowing. At the same time, the cost drag on inflation is set to diminish as the oil price stabilizes, and the dollar’s recent softness implies further inflationary pressure. But this domestic progress puts the Fed in a difficult position. As a result, the Fed is effectively trapped between a US economy that increasingly justifies normalization of monetary policy and the interest of fragile global markets – in which about 60% of the world’s transactions are dollar-denominated – in further dovishness. Messaging from financial markets increasingly influences the Fed’s decision-making. Any suggestion that the Fed will hike faster or sooner than anticipated leads to fears of tighter financial conditions, and violent risk-off moves. After a multi-year bull market in equities and fixed-income securities, stimulated by the very monetary policies the Fed is trying to leave behind, there is no valuation support to dampen the reaction. In the absence of genuinely robust global growth, which is unlikely in the near term, financial markets are relying on extremely loose monetary policy to prop up prices. The Fed’s rate decision in March, and Fed Chair Janet Yellen’s commentary, was a case in point. The Fed apparently could not stomach the sell-off in global financial markets in January and February, which was driven largely by concerns about further tightening. This is odd, because effects on consumption from changes in financial wealth (stocks and bonds) are small. What matters far more are changes in house prices, which have not deteriorated. Similarly, changes in the cost of capital, including the equity cost of capital, have a minor impact on business investment. In other words, from the standpoint of its dual mandate, the Fed should not be terribly concerned about market volatility, even of the magnitude seen in January and February. But every signal sent from Yellen and the Fed was that policymakers were very concerned about exactly this. And the rally in markets that came after the Fed backpedaled on the pace of rate increases has only served to strengthen the feedback loop between the probability of US interest-rate hikes and global market volatility. The implications of this are worrying. If Yellen and the Fed feel beholden to financial markets, the risk of sharper rate hikes further down the road, as the Fed increasingly falls behind the inflation curve, will rise. Beyond this, there are important longer-term considerations. Given the low base, and the Fed’s obvious caution, nominal interest rates are unlikely to climb too far by the next US recession. With a lack of traditional rate-cutting firepower, the next downturn could be longer than usual, compelling further reliance on unconventional monetary policy – even beyond the negative nominal interest rates now being pursued in Europe and Japan. Indeed, Yellen’s predecessor, Ben Bernanke, recently addressed such possibilities, notably the potential for a permanent increase in the money supply (so-called helicopter money). This could take a number of forms: quantitative easing combined with fiscal expansion (for example, higher infrastructure spending), direct cash transfers to the government, or, most radically, direct cash transfers to households. Such extreme policies are still only theoretical, and implementing them would most likely spur heightened congressional scrutiny. Nonetheless, the pressure to support global financial markets and other external economies suggests why the issue is being debated. With the Fed deciding in their just-concluded April meeting, yet again, to hold rates, their dilemma is set only to intensify this year: normalize monetary policy in line with domestic fundamentals, or cede to the pressures of global financial markets. The former is sure to usher in a highly volatile future; the latter would further entrench the Fed’s new mandate – one that undermines any semblance of central-bank independence.